Sorry for the late reply!!! South Wales Anarchists hope to have presence at the conference, but the organisation is open to the UK-wide anarchist movement as a whole. For more info, please email as above. so basically you’ve copied a statement from the organisers onto your blog? trying to take credit for the work of others. I am one of the organisers. 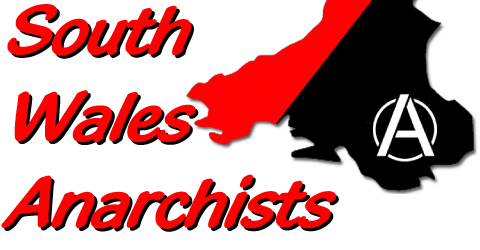 I am also one of South Wales Anarchists. And your problem is….? I think the point that is being made is that this isn’t an original blogpost, its a cut and paste, and you haven’t even referenced it as such. The biggest possible faux par in the blogsphere!!! I know what you’re trying to say but you’re both barking up the wrong tree here! Firstly, this is a call out for the anarchist movement conference, which SWA are involved in organising, via the process of mandating a delegate to attend the organising meetings, (i.e. me) . So as such, the group has been involved in pulling this conference together, including this call out, and is perfectly entitled to put it up on its own website, reference or no reference. Secondly, no, this site is not another bulletin. The vast majority of articles here are original: that is to say, they have been written by the Editorial group. However, the underground/alternative media has always worked on the principles of copyleft (see http://en.wikipedia.org/wiki/Copyleft). Articles and stories, particularly those relating to direct action, are routinely blagged, massacred and re-jigged for the benefit of passing the information out as far and wide as possible. Whilst keeping the facts straight, of course. The article you link to relates to a commercial publication making money off someone’s article without crediting or paying them. No-one is doing anything like this here – no-one is making any money for a start! – and people who contribute to alternative sites/publications generally do so on the understanding I’ve outlined. I hope this makes it clearer. When the conference movement website has something else other on it than the call out above, you can be sure we’ll link to it from here. perhaps it would be wise just to give readers some original content, you can always link to the conference website too. No-one wants to read cut and pastes, it alienates people from blogs like nothing else. Here comes the summer of rage! The Iraq war – a fading memory?